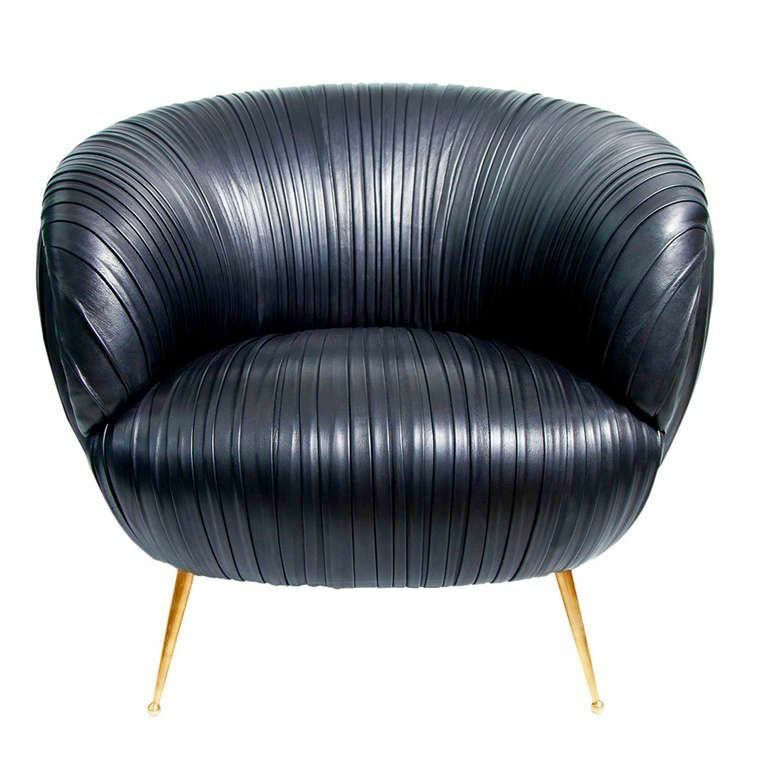 The dramatic sweeping curves of this iconic piece are highlighted by Kelly Wearstler’s signature application of buttery pleated leather. The handmade hardwood frame is double-dowelled with 8-way hand-tied springs for longevity and performance. 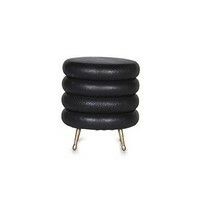 This exquisitely detailed chair sits on solid cast bronze legs with delicate ball feet. For a final playful touch the underside is trimmed in colorful printed silk. The Souffle Chair, upholstered start to finish by a dedicated craftsman, is a peerless example of luxury, quality, and attention to detail. 34”W x 33”D x 32”H; 18.5” S/H Due to the nature of handmade furniture, slight variations in overall dimensions may occur. All leather is of the highest quality but is a natural material, so variations in texture and markings may occur.